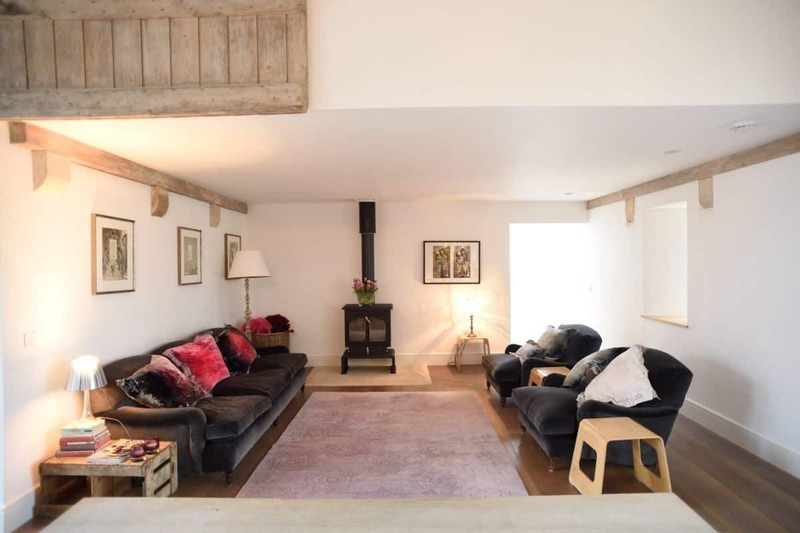 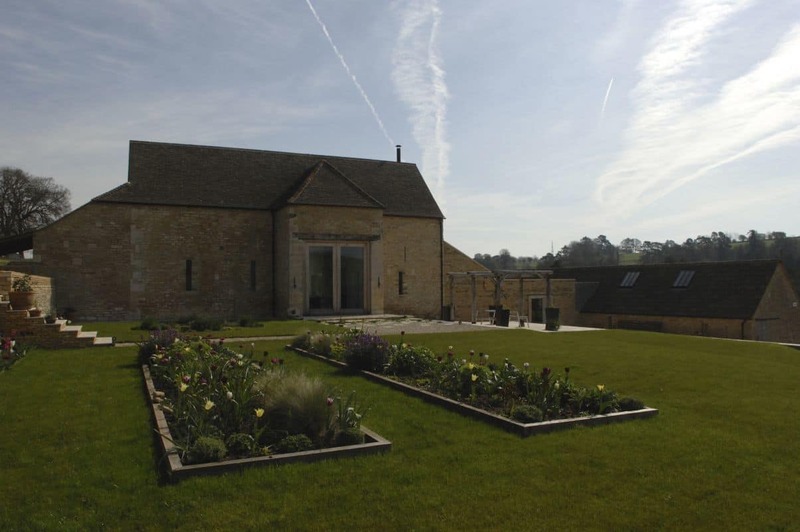 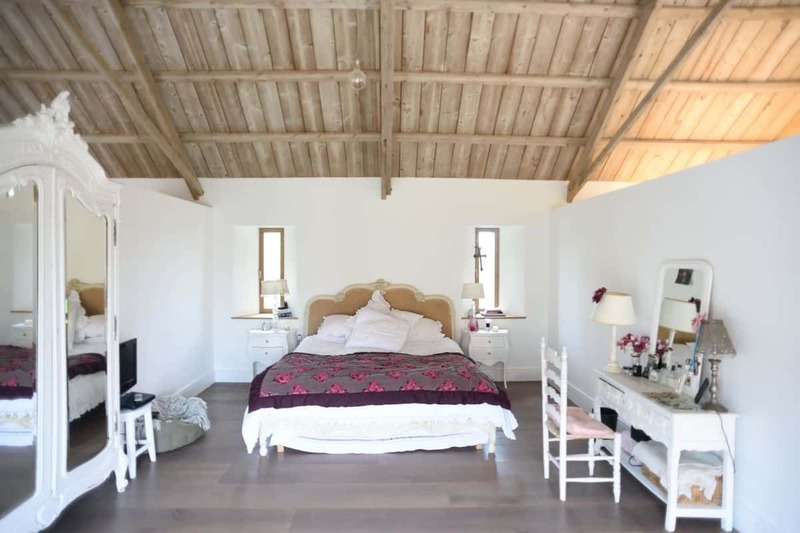 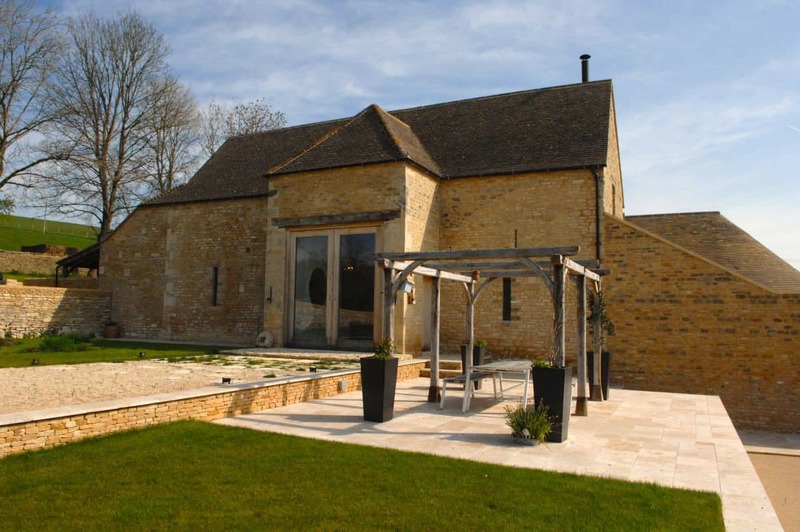 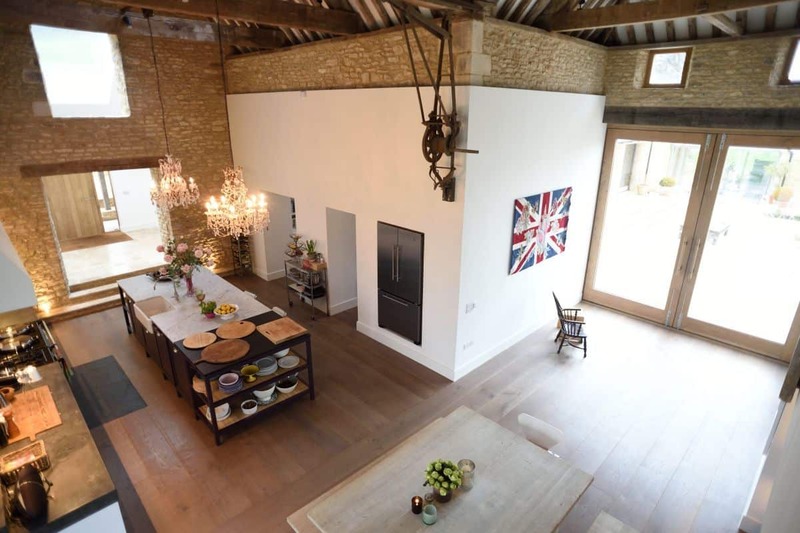 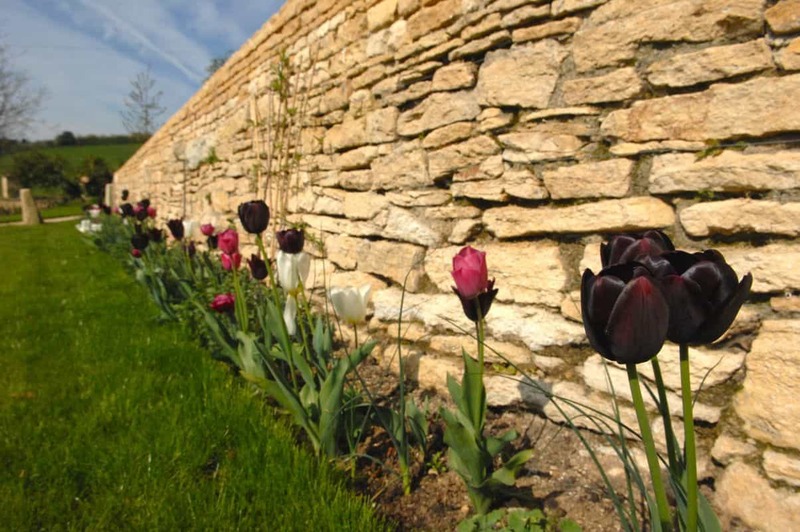 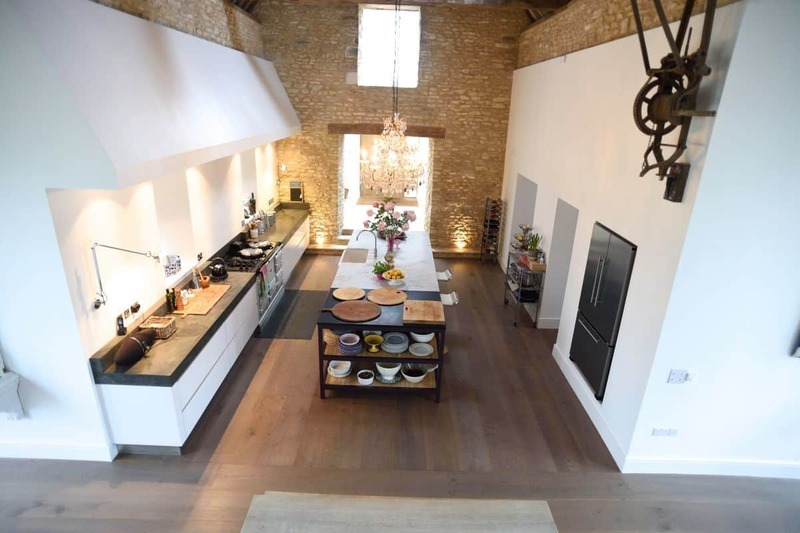 Vale Farm is a contemporary barn conversion, originally a collection of agricultural buildings that were merged together to form a beautiful country residence in Gloucestershire, England. 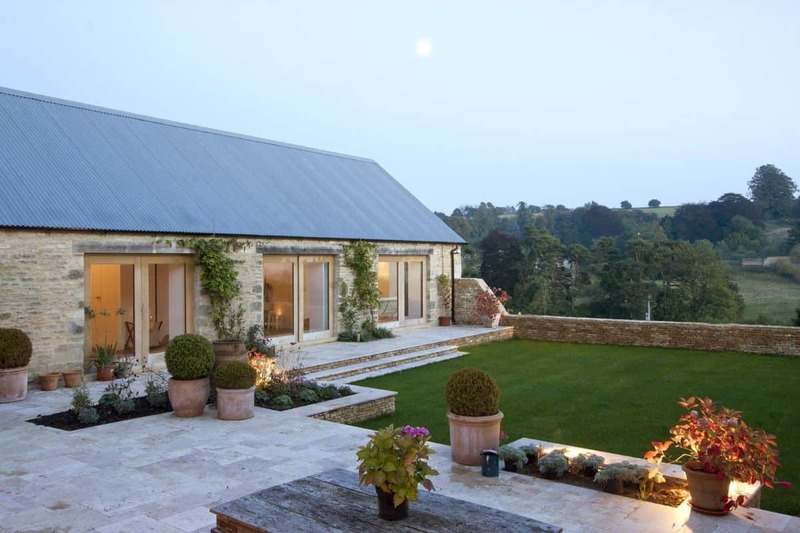 Designed by Millar Howard Workshop, the scope of the project involved the meticulous stitching together of a series of structures of mixed character. 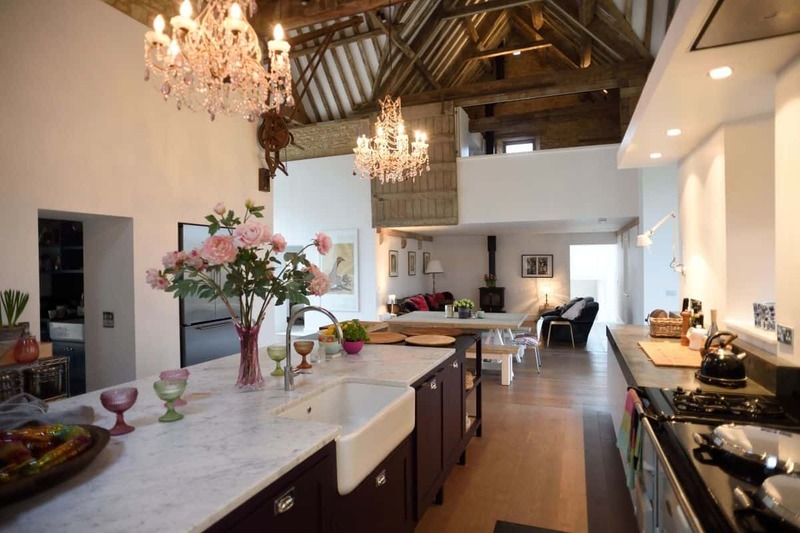 The architecture features fine craftsmanship and great attention to detail to achieve a complex, engaging and eccentrically gorgeous property. 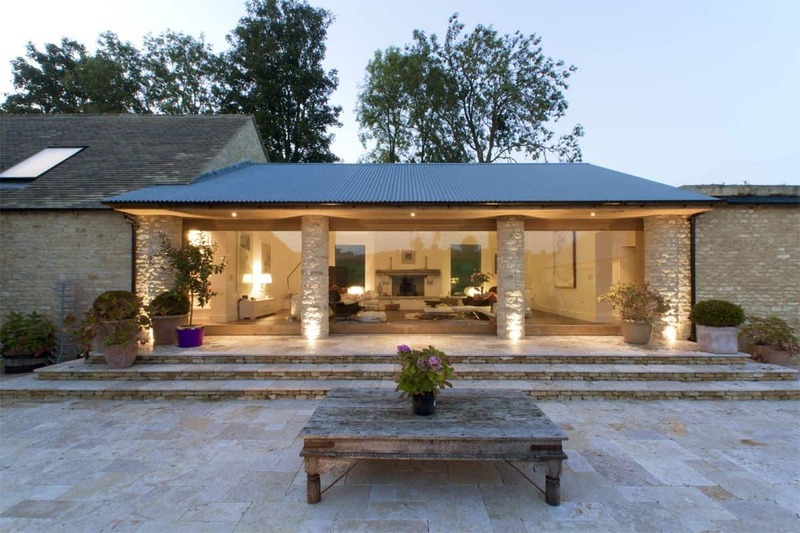 The property is at an elevated position which has allowed the architects the ability to create a split level dwelling offering breathtaking views across the Gloucestershire countryside. 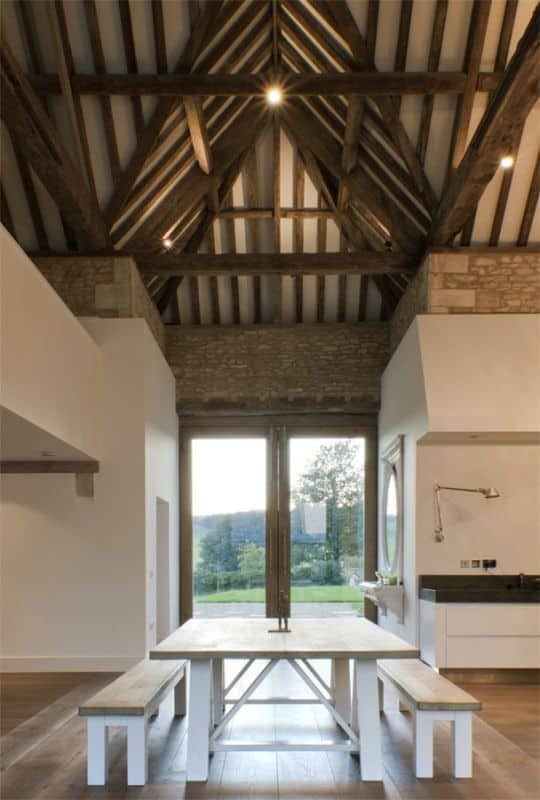 Most the original features were preserved, infusing this modern yet traditional property with an element of sophistication. 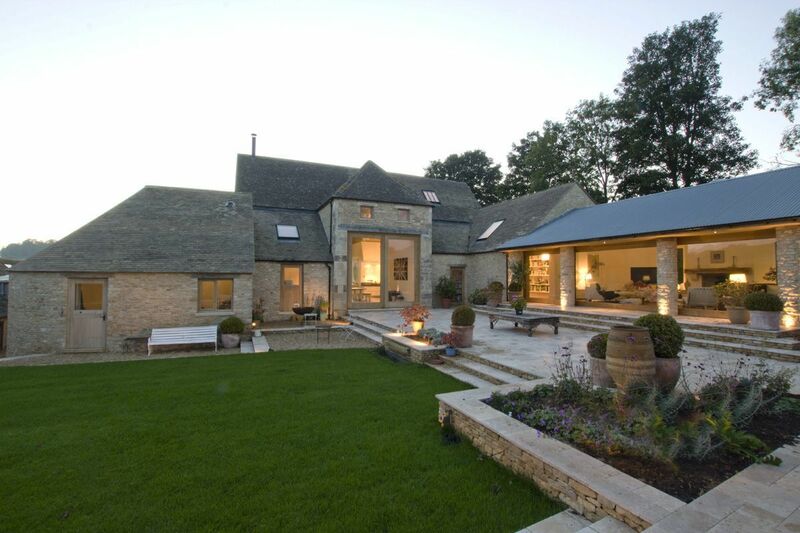 Sustainability was also at the forefront to the design of this property, where the design team had heat source pumps installed. 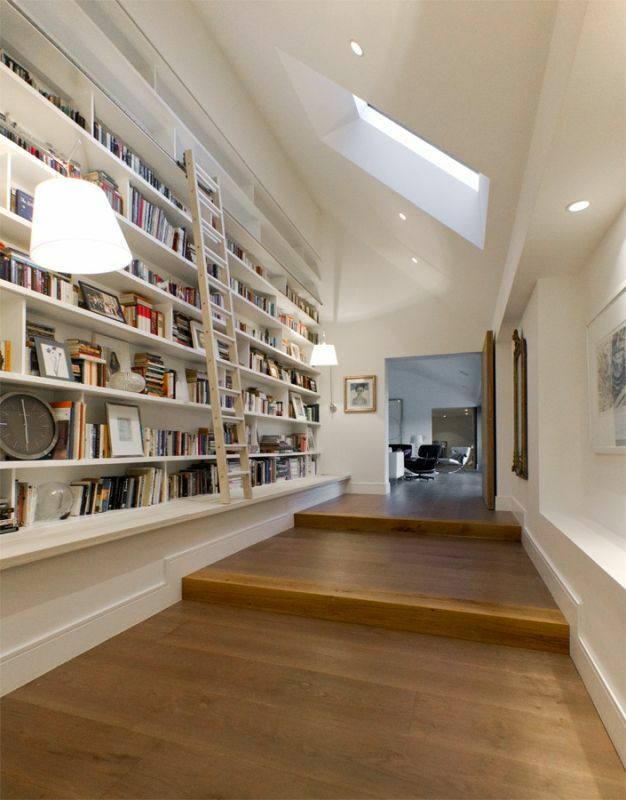 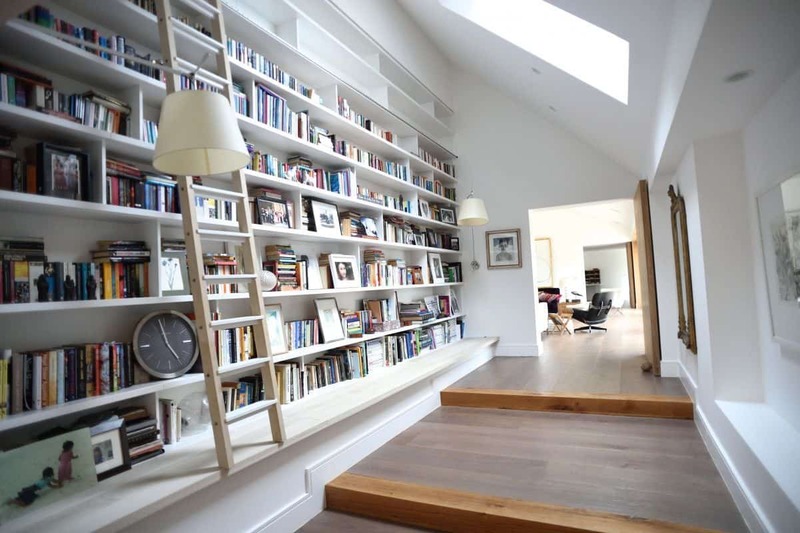 The project took roughly 16 months to complete, finishing in late summer 2013. 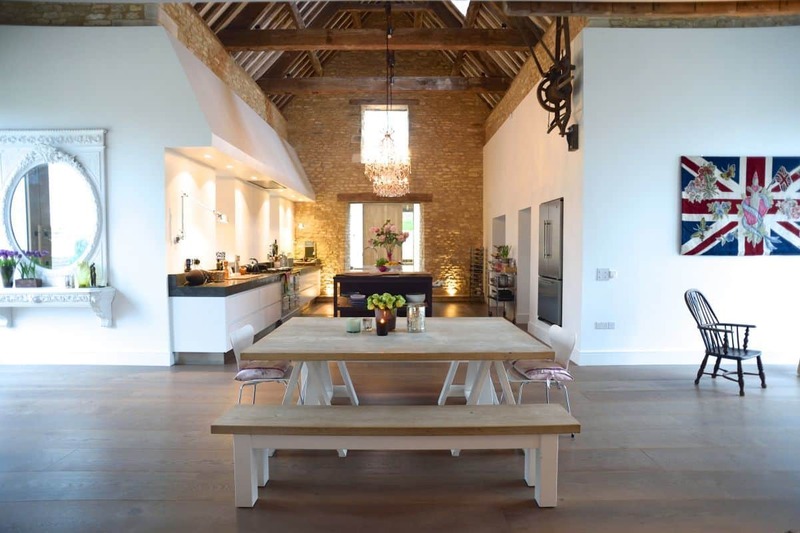 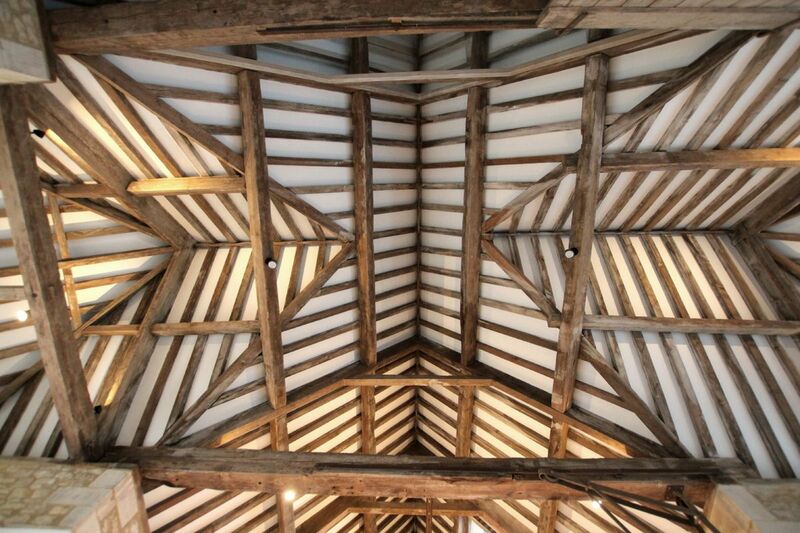 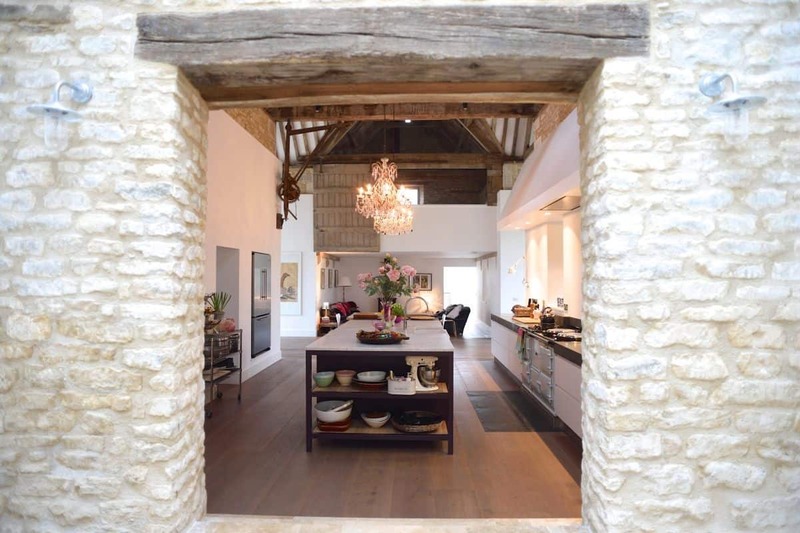 What We Love: Barn conversions are very unique in their architecture and their history, preserved details not only tell a story of the past they are aesthetically pleasing. 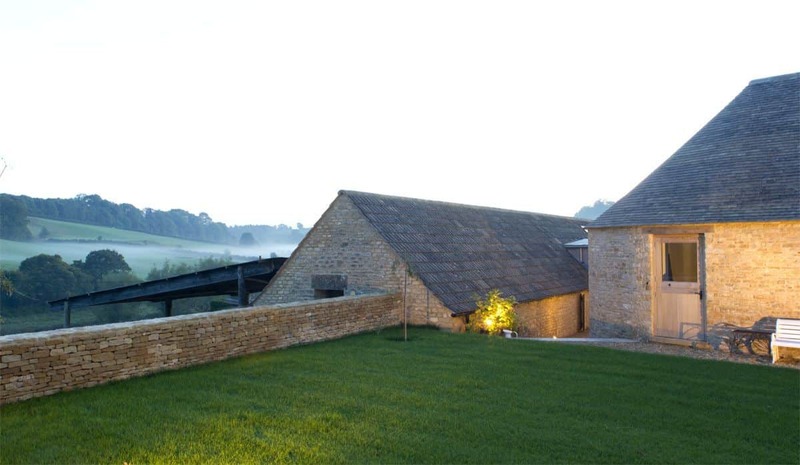 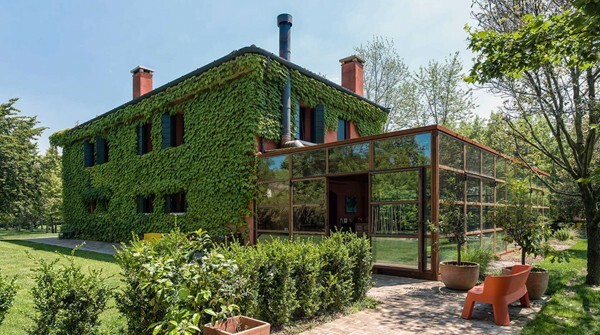 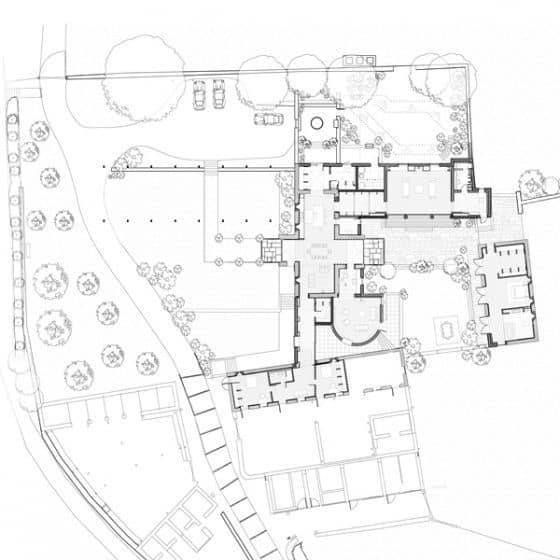 Although there are several buildings that have been merged together, the spaces seem to flow harmoniously from one to the next and melds beautifully into the landscape. 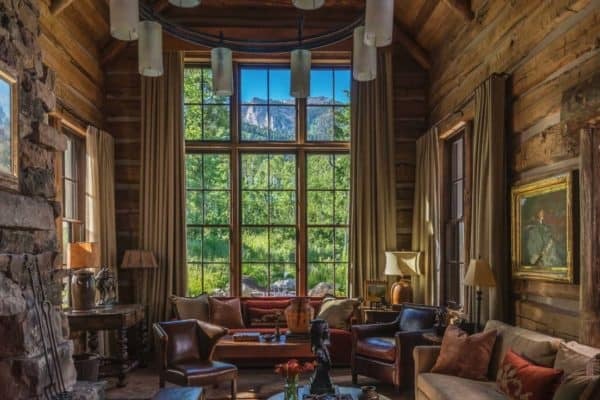 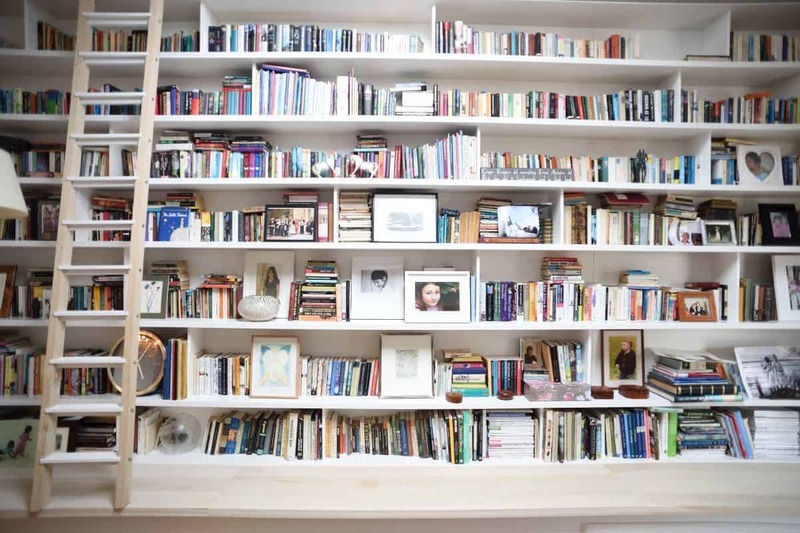 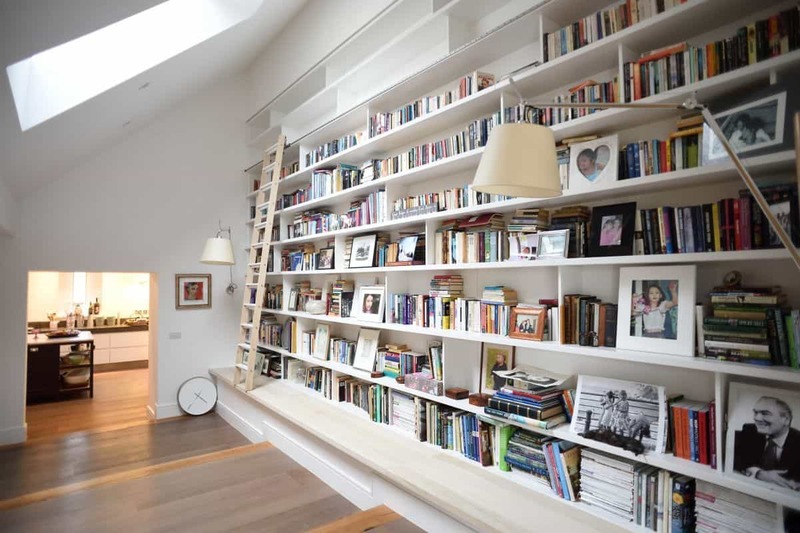 What do you think of this property? 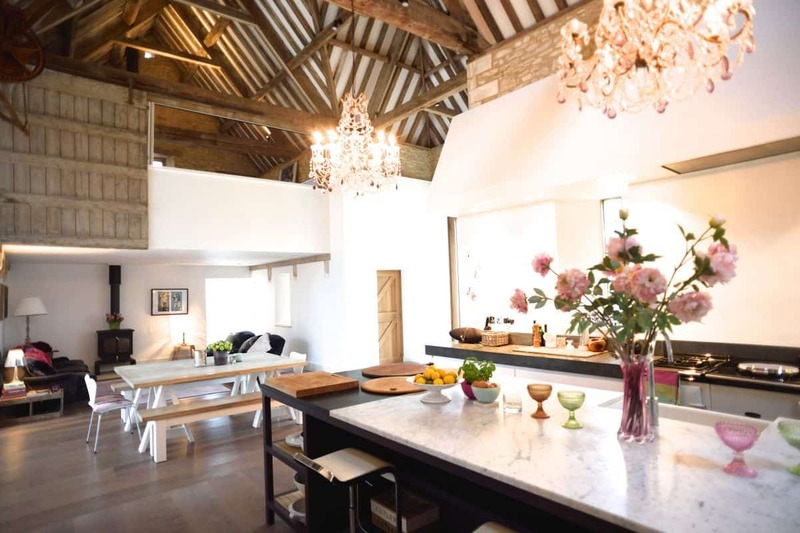 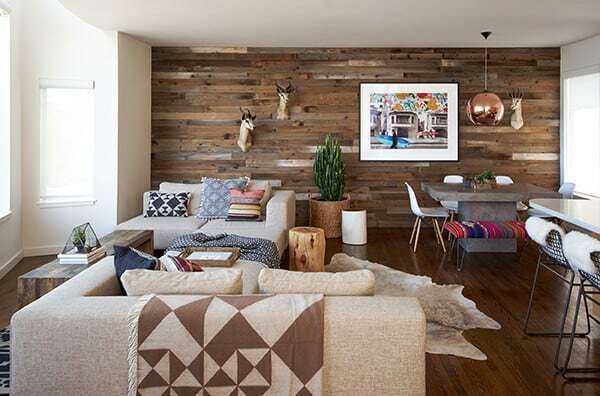 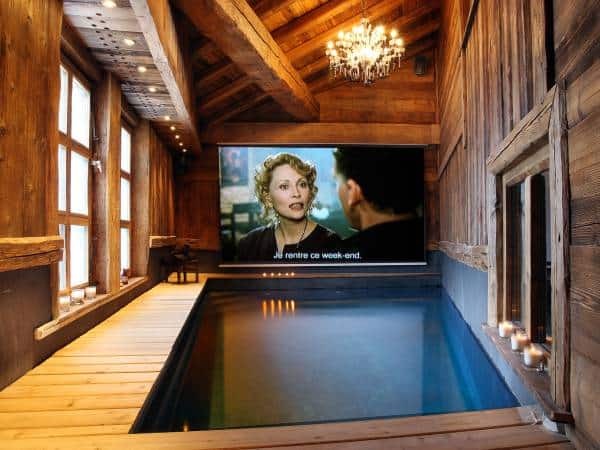 Are you a fan of barn conversions? 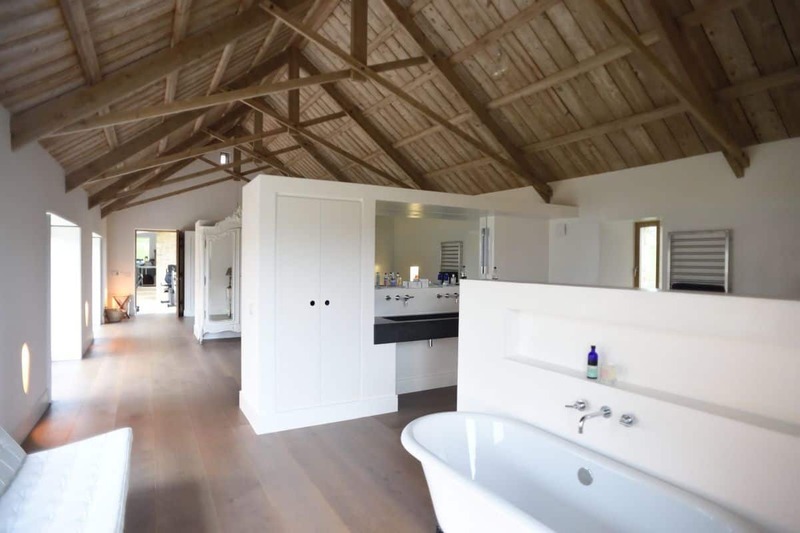 Please let us know your thoughts in the comments section below, we enjoy reviewing your feedback! 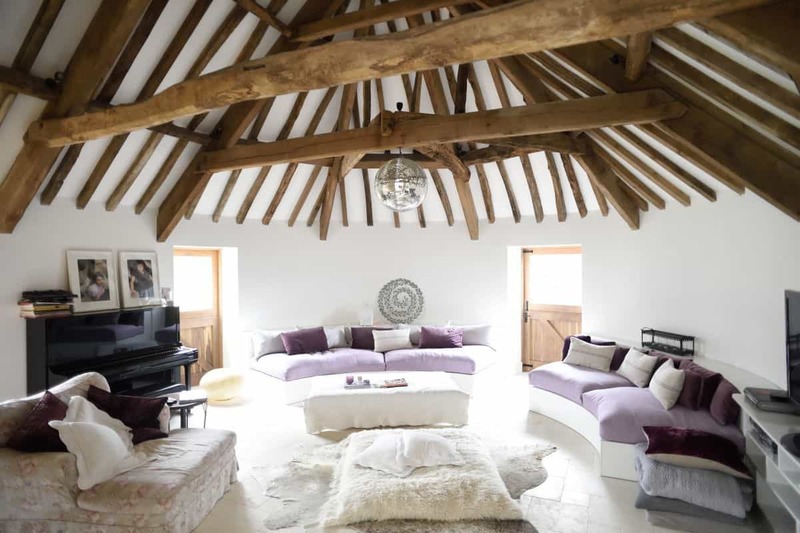 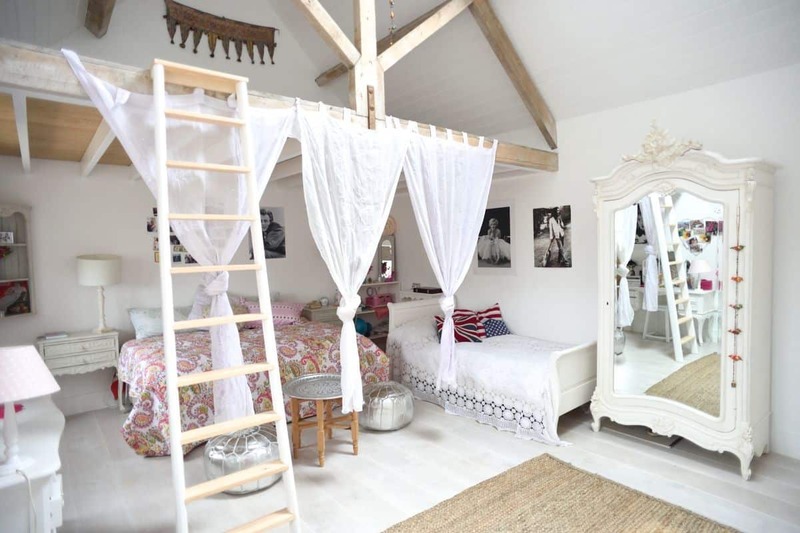 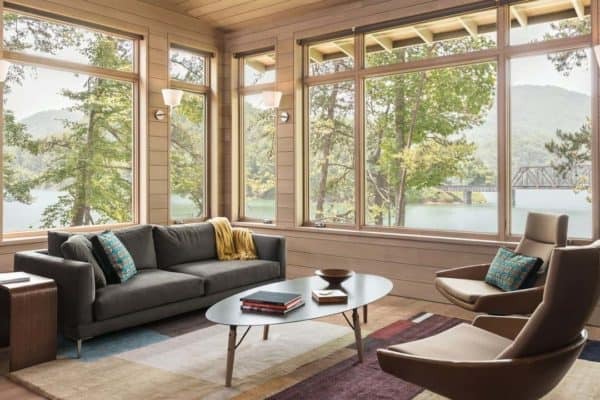 If you are enjoying this article, take a look at a collection of barn conversions that will surely leave you feeling inspired!